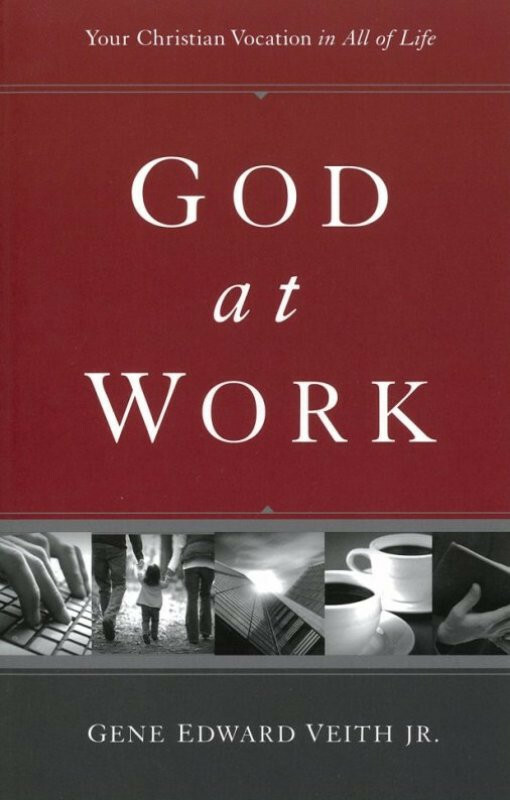 I had been reading Gene Veith’s God At Work recently and, while the whole book is a real gem, I found what he had to say about “finding your vocation” to be the most insightful part of the whole book. I credit this to having two children who are now teens and one about to become one soon. Like any parent, I’m growing more interested/concerned to see how their ideas of what they want to do with their lives are sharpening. Of course, I just used the very language that betrays the problem with this discussion in our modern age. The typical question of “What do YOU want to do with YOUR life?” has two problems with it. One, vocation as it is taught in the Bible is about God’s will in the life of the Christian, not yours. Second, this life we have is not ours; it belongs to God. (Therein lies the whole secret of Biblical “stewardship”). The same can be said for how we talk about careers. “What do YOU want to do with YOUR life?” reflects the same self-centered attitude that is killing our morality in society. Moreover, it seems to me to be at least part of the reason why so many Americans are more anxious and unhappy than ever. “You make a pretty small package when you’re all wrapped up in yourself.” By following our own desires in morality or life in general, we seem to be forcing ourselves to be happy. We think this actually will work. We couldn’t be more wrong. A number of years ago, in my earliest years as a pastor, I was invited by a brother to attend a pastors breakfast with Tony Campolo, the Christian sociologist and former “spiritual adviser” to President Clinton. I went, even though I was not a fan of Campolo. He was the hot thing in American Christianity at the time and I thought I would assuage my curiosity by attending the breakfast. America was still an agricultural society. Farmers were having lots of children and getting rich (cheap labor). Parents would have told you that what they wanted most for their children was to be successful. America was moving off the farm and becoming a more professional society. Family size was declining as the “nuclear family” was on the rise. Parents would have told you that what they wanted most for their children was to be happy. He then pointed out how much of an increase there has been in depression and the rise of counseling and let us draw our own conclusions as to whether or not these developments were really good for our country. Everything in the world today is geared to ME and what I want…and we are all the unhappier for it. I do want my kids to be happy, but what I am figuring out is that the best way for that to happen is for them to “die to self” (to borrow shamelessly from Luther) and to strive to be successful doing whatever it is that God has in store for them. The question is not “What do I want to do with MY life?” Instead, consider how the following questions totally reframe the discussion. To what vocation is God calling me? How will my vocation be a blessing to me and a benefit to others? I seriously thought, when I was in high school, that I was going to be a professional musician, despite little testings which were pointing me to the ministry. After realizing that I could go to the best music schools in the world and still not be successful, I rerouted my college plans to Concordia Wisconsin, mad at God and totally unwilling to be a pastor. The good news is that God didn’t care how I felt at the time. I am glad to be one of His servants, albeit reluctantly and purely by the grace of God. Had I not matriculated the way I did, I would not have met my wife whom I love. I would not have had my children who teach me far more than I could ever teach them. I would never have known the joys of being Christ’s instrument in helping someone apprehend God’s grace. In short, I’m not so sure I would ever be happy. Indeed, because God did the calling of this reluctant soldier, I am happier than I ever would have been if I had followed my own devices. I just thank God now that I got to learn this hard lesson earlier in life. The Lord blesses in His ways and according to His time. His ways are always better than ours. We in the Church really need to get a stout teaching of vocation back. Our unhappy society is crying for it. Great post. And it makes so much sense that the Lord so wonderfully made us that true joy is found in serving others – and that serving self ultimately results in despair. For we are the means by which He provides daily bread for one another. As Luther said, “it is our neighbor who needs our works.” May we delight in the privilege we have of serving our neighbor through our vocations.